Watch Out For Yellow Jackets! 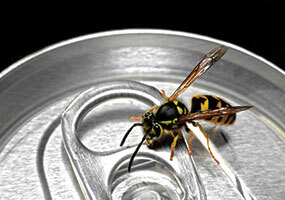 Yellow jackets can take the fun out of outdoor gatherings in a hurry. They’re attracted to food items containing sugars, proteins and carbohydrates. Sweet foods and meats are especially enticing to them, and you can often find them hovering around picnic areas and garbage cans where these types of foods have been left behind. As yellow jacket populations build up in the late summer, simply using a lawn mower or string trimmer can grow risky due to the potential for disturbing an underground nest. These social insects will vigorously defend their nests if they feel threatened, and unlike bees, they’re capable of stinging repeatedly. • Make sure trash bins stay tightly covered. • Promptly dispose of empty food and beverage containers, as well as used paper plates and plastic cups. 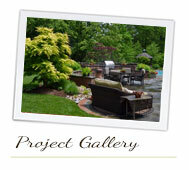 • Keep any grilled meat and other foods properly wrapped up and out of sight when not in use. Yellow jackets are very aggressive, so it’s usually best to leave their nests alone. Only the fertilized queen will survive through the winter, and she’ll start a new nest in the spring in a different location. The rest of the yellow jackets will die off as cold weather sets in. Sometimes, however, a nest’s location makes it hazardous enough to warrant destruction. Though yellow jackets usually build their nests underground, nests can also be found under decks, in sheds, and even in the wall voids of homes. These types of nests can be destroyed with insecticides, which should be applied around dusk (when all of the pests are resting inside). Due to the hostile nature of yellow jackets, you may want to consult a professional for safe and effective control options. Be careful out there! 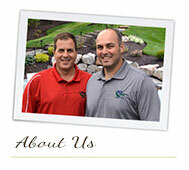 Irrigation Systems Save Time, Money, Aggravation… and Plants! survive. 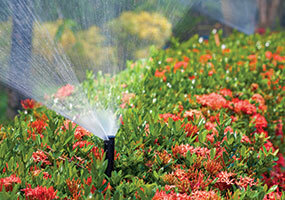 When rainfall is scarce, keeping everything sufficiently watered can be a challenge. 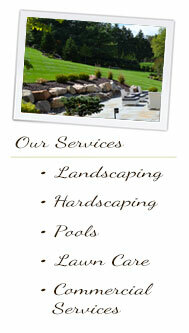 solution for more busy homeowners these days is to install an automatic irrigation system. these systems use underground circuits and valves to take water right where it’s needed.